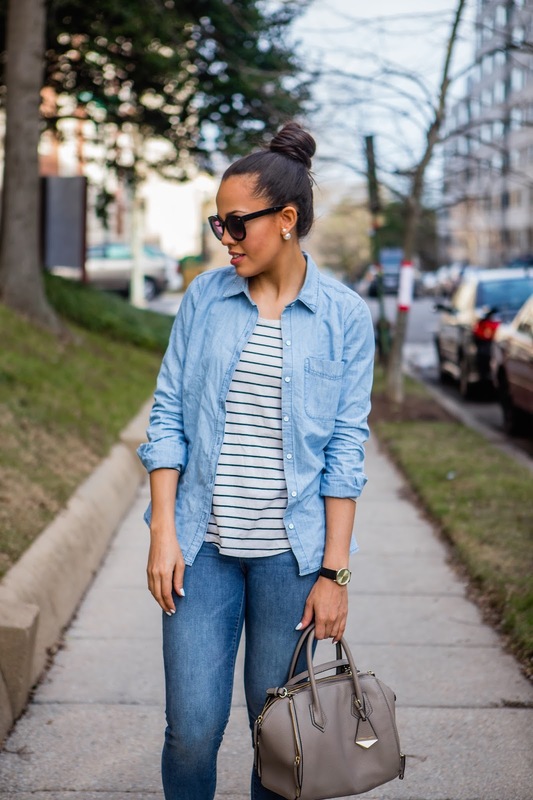 A chambray and converse sneakers are my go to items when I need to dress casually. Honestly, I haven't really ventured into the whole 'athleisure' trend partly because I just don't think I'm cool enough to pull it off and also because, well, I don't really like wearing gym stuff unless I'm at the gym. However, that isn't to say I don't like a good casual look. 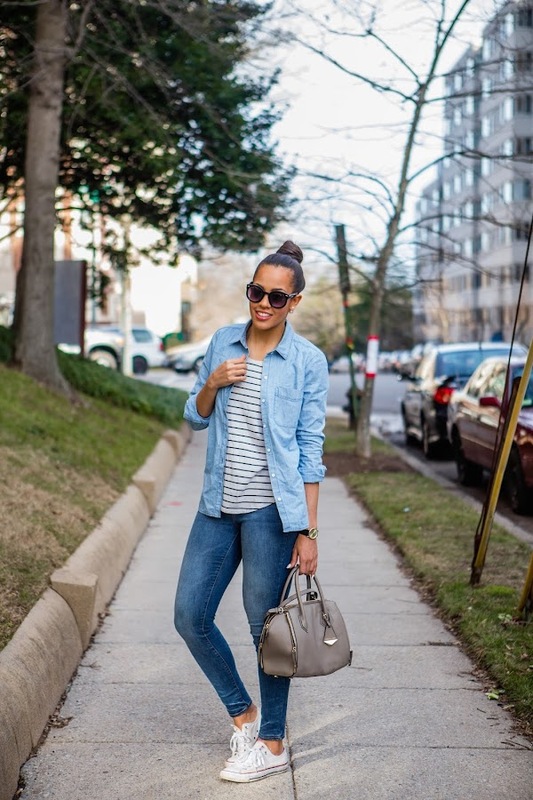 A chambray and sneakers are wardrobe staples that can so easily be remixed either together or separately and are budget friendly. 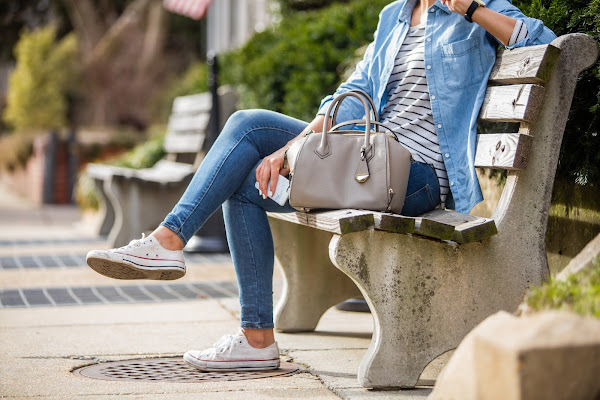 Alone a chambray can so easily be dressed up and a pair of sneakers can give your look a total cool girl vibe, plus they are just easier for those days where you're running around like a crazy person. 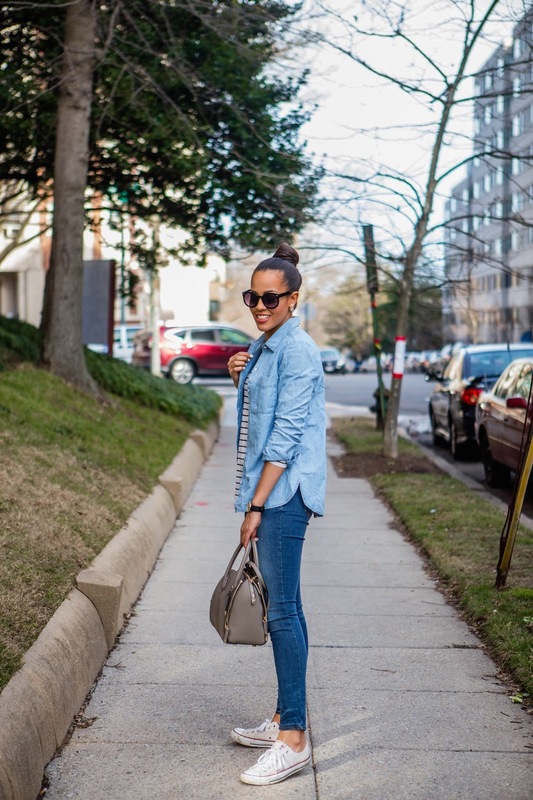 So if you're anything like me and haven't yet hoped on the 'athleisure' bandwagon just stick to casual basics like this chambray or these sneakers. 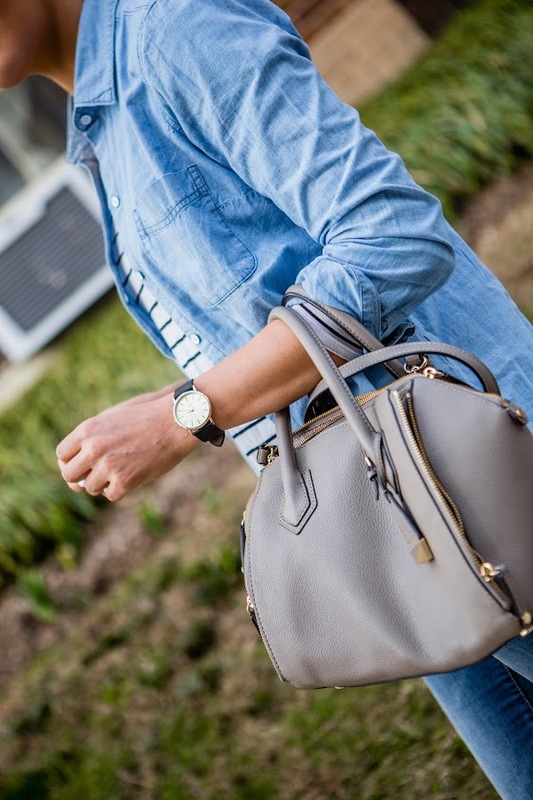 Beautiful understated look! Love my Converse too! I just got a pink one and so excited to style it. This is one of my favorite looks! 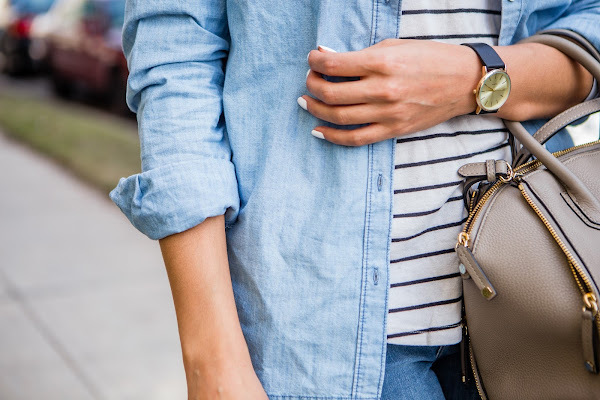 I feel you on athleisure, I hate wearing gym clothes when I'm not working out! 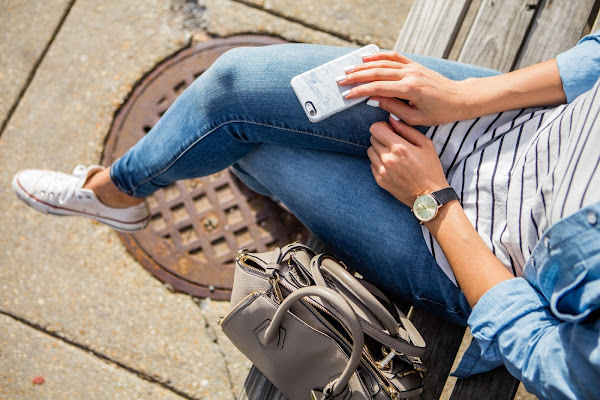 Strips, chambray, and sneakers are classicaly casual.